It’s everywhere in real life and absolutely nowhere in TV, movies or magazines. It’s unrelated to health, yet constantly depicted as a sure sign of lazy slobbiness. Large or small, the vast majority of women have it, but it gets depicted as shocking headline news in media non-stop. A multi-million dollar industry has claimed for decades to have the keys to cure it, but it’s just as prevalent today as it ever has been. What is this mysterious ailment? Edited to protect the guilty. Right here in Salt Lake City. Call me crazy, but I love it when I catch a glimpse of a few thigh dimples when a beautiful actress or model crosses her legs on a TV talk show or gets photographed on a beach. It’s refreshing to see a few unretouched rimples or skin puckers in all their human, realistic glory! Seeing your own seemingly inhuman, humiliating “flaws” reflected back to you in mainstream media is a surprisingly comforting experience. But that should NOT be the case! How has something found on at least 80% of women’s bodies (and some mens’) come to be SO vilified? How has one of the most natural, commonly found characteristics of even fit and healthy women’s bums, thighs and stomachs been turned into a secret shame? Just follow the money trail. The trail leads directly to “body contouring,” “laser lipo,” “firming creams,” “skin tightening solutions,” fitness magazine headline claims, shapewear of every kind, and so many more. Countless companies and industries claim to hold the keys to “fixing” the “flaws” of dimply bums and cottage cheese thighs and they pay HUGE money for media advertising, so it’s incredibly risky and unprofitable for any media outlet to showcase a woman who isn’t looking perfectly ideal – especially in a positive light, like as a protagonist, love interest, or successful in any arena. Honestly, can you think of any mass media examples showing otherwise? We can’t. Breaking news! Un-Photoshopped bodies look different than Photoshopped ones! When we are lucky enough to see unretouched photos of celebrities (which, unfortunately, are tasteless, invasive tabloid images), we see all the so-called unsightly aspects of having a female body. Some of those characteristics are natural and lifelong, and some are achieved with age and experience: stretchmarks, breasts of all shapes and sizes at all levels of perkiness and sagginess, loose skin, body fat anywhere and everywhere, wrinkles, spots, hair, etc., etc., etc. Despite our ability to look eye to eye and see those realities among even the most beautiful and successful of women, way too many of us have been driven to body shame, anxiety and scam “solutions” in order to feel and look acceptable. Never-ending and cohesive depictions of smooth, flawless female perfection in all mass media have pushed women to silence. Rather than uniting in our shared set of otherwise-invisible physical traits, too many women let themselves be kept silent, lonely, and financially/emotionally drained by the embarrassment of feeling sub-par and abnormally unattractive. It’s time for a rimply, dimply reality check! The vast majority of us have got it! It’s a naturally occurring, built-in fact of the way women’s fat cells attach to skin’s connective tissue* – no matter how little fat or how much fat she may have. Women’s fat cells attach in a cube-like pattern, creating protrusions at the top that create a rough surface. Men’s fat cells attach in a criss-cross pattern that prevents any puckering. 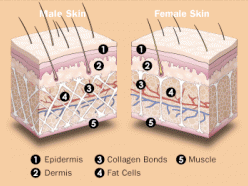 Men also have thicker epidermis and dermis tissue levels, leaving a smooth surface regardless of how much fat they have. The procedures and potions that claim to remove cellulite, and have the awful before-and-after pictures to “prove” it, have very temporary effects, if any. Many are simply BS. 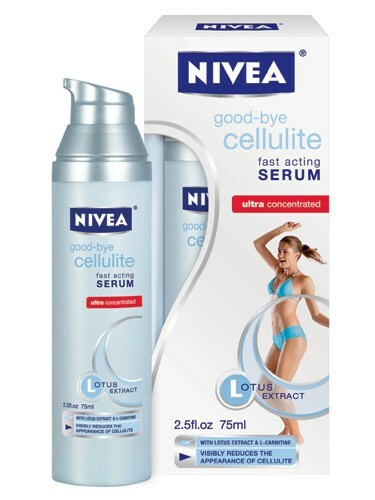 No large-scale study has ever proven the effectiveness of any cellulite-fixing anything. Slow weight loss (as opposed to fast weight loss that doesn’t give skin’s elasticity a chance to catch up) can make cellulite less pronounced, but does not remove it. Weight loss does not change the structure or shape of fat cell chambers. That means, regardless of how fit you are, cellulite is inevitable for most women. We’re going to have to work with what we’ve got. So, if you’ve got the dreaded cellulite, you may have inherited it (really, there’s a huge genetic component to fat distribution), you may have earned it with age, you may have been born with it, and you may have done everything possible to remove or hide it. So now, lucky ladies, let’s OWN IT. That doesn’t mean we want you take pictures of your naked bums or thighs and post them on the Web. Really, we don’t. Let’s be more than collections of body parts to gaze at on the Internet. Even if they’re beautiful and real. Here’s what we can do: Be an example of your own beautiful reality by taking back beauty to its rightful place. Own your body – whether you’re rocking cellulite, stretchmarks, fat, no fat, wrinkles, whatever. Own it with your confidence – faked or otherwise. Treat it well. Exercise. Fuel it with healthy foods. Make improvements in your lifestyle if you need to, but remember that doing it for your health and happiness is the only lasting motivation. Go about your days with confidence. Don’t avoid activities or opportunities because of not wanting to be looked at or judged. Swimming is so fun. I swear. Beaches are amazing – whether you look like Helen Mirren in a bikini or not. Zumba is super fun too. It ain’t pretty for most of us, but wow, it is worth it. 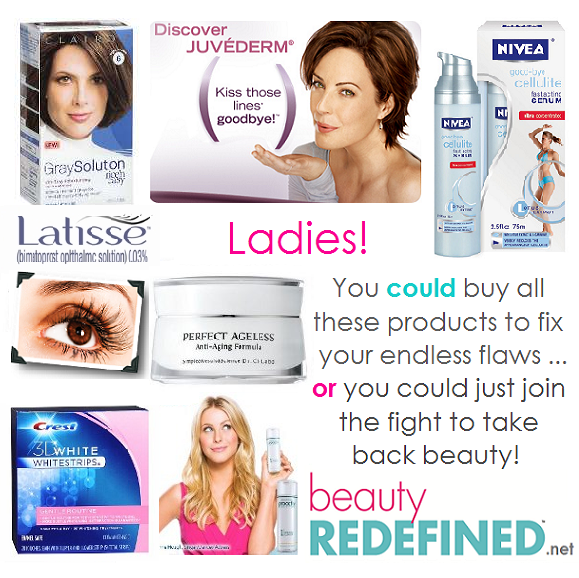 Stop spending precious time and money on products, services and procedures that claim to remove or reduce cellulite. They don’t work. A new one will pop up tomorrow. It won’t work either. Liposuction even makes it worse, though it is regularly advertised as a fix for cellulite. Don’t hide in the back of every photo or volunteer to be the photographer just to avoid being seen. Get in there and work it for the camera! Don’t complain about how you can’t wear khakis because they show your bum dimples or how you’re too skinny for that form-fitting dress. Saying it aloud makes you internalize it further. Saying it aloud also reminds other people to fret about their own perceived imperfections. Act like you are more than just a body to be looked at. Own what you’re working with! Do it for your daughters, your friends, your husband, your entire family, the people who see you out in the world and need an example of beauty and confidence to look up to. Your influence is more powerful than you recognize. 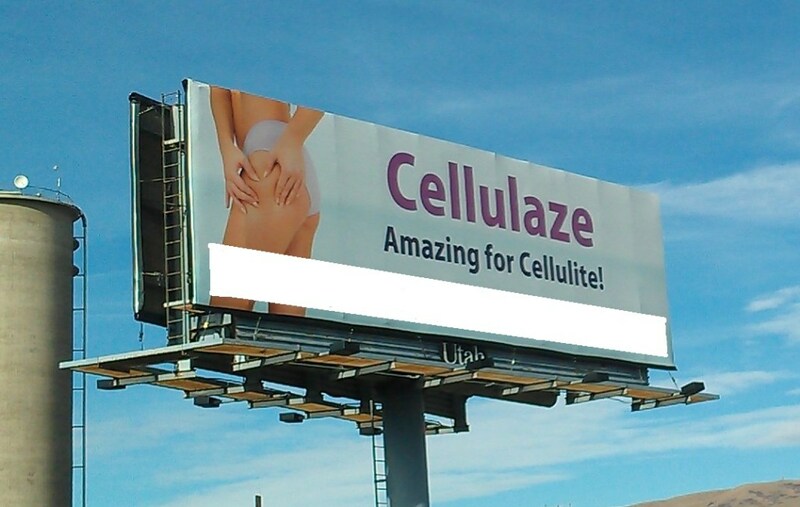 Cellulite is literally headline news for some of the highest-selling magazines and highest-rated TV shows. “Celebrity Cellutlite,” “Dimples of the Stars,” “Worst Beach Body.” Rather than silently buying into the sensationalizing of a bodily fact that at least 80% of women (according to the Mayo Clinic) have, let’s normalize it! You don’t need to put your parts on display, but maybe lose the sarong or the board shorts once in a while if you feel like it. Ditch the Spanx. They’re messing up your circulation and slowing down your potty breaks anyway. Talk about all those vilified body characteristics in a casual way with your daughters, your students, your friends, or your family. Talking about cellulite or stretchmarks or anything else invisible in media in a non-disgusted way is hugely powerful for people who have been taught to see it as an abnormal flaw. Self-disclosure with people you trust can be a really powerful way to break out of that shameful silence. Even though cellulite is sure to remain headline news for media and beauty industries, let’s make sure it is no longer headline news in our own lives. Don’t let your own dimples (or wrinkles, gray hair, sagging skin, small breasts, stretchmarks, insufficient lashes, unslightly armpits, or whatever else they come up with) hold you back from living a full and active and awesome life. 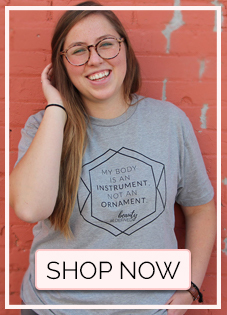 Don’t let profit-driven media convince you that those body characteristics are shameful, gross, or anything other than 100% normal, healthy, and part of a truly beautiful reality. 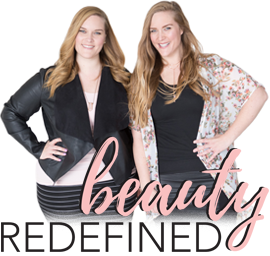 Let’s redefine beauty for ourselves by making it more inclusive of reality — warts, wrinkles, dimples, and all!